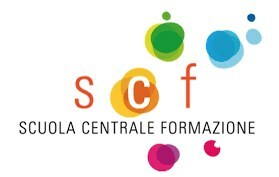 Scuola Centrale Formazione is a no-profit organisation joining together 45 organisations managing about 100 VET centres distributed in 11 regions in the North, Centre and South of Italy; SCF works primarily to offer a representative support and an effective coordinating action to all associates, with a specific interest on methodologies, evaluation, innovation and transfer of best practices. SCF is recognized by the Ministry of Labour as a national training association, according to the Law n.40/87. Following a subsidiarity principle established in its Statute (art.3), and, according to regulations of the Ministry of Labour, SCF acts in the different provinces/regions and in the public-funded projects directly and through its members. Main activities of associated members concern: counselling, vocational training for young people aged 14-17 still in compulsory education, for adults, for workers and unemployed people, targeted programmes for the disabled and the disadvantaged groups (counselling, support, training and activation measures), apprenticeships, work-experiences, activation measures, employment services, alphabetization for migrants, cultural mediation.